Audi will revise, document in detail, and resubmit for US approval certain parameters of the engine-management software used in the V6 TDI 3.0-litre diesel engine. Following the admission that around 1.1 million European Volkswagen Group vehicles could be fitted with the emissions ‘defeat’ device that was first discovered in the USA last month, the first moves have been taken to advise car owners as to whether their vehicle is affected. 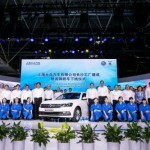 The Volkswagen Group continues to expand its production capacity in China with the addition of a new vehicle plant of Shanghai- Volkswagen (SVW) in Changsha, southern China. Volkswagen Group UK Ltd has once again been awarded Top Employer status by the Top Employers Institute for its exceptional offering to employees. 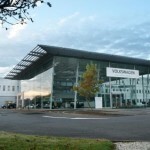 UK tuning technology expert TDI-Tuning notes a high number of owners of cars from the Volkswagen Group among its customers.